1. I am a full-time Realtor who will dedicate whatever time is needed to professionally serve your real estate needs. 2. Did you know that unless you specify otherwise, Realtors represent the SELLER? Did you know that builder representatives in model homes (DR Horton and Centex, for example) are not required to be licensed real estate agents and that they represent the builder? I can represent you as a Buyer’s Agent on almost every house for sale in the Fort Hood / Killeen TX area, which means that I must do everything possible to gain an advantage for you, the Buyer. As your representative, I will do everything possible to get you the most for your money ! I know the market…I know what is “traditional” in our area…I know what to do to get you the best deal. It doesn't cost you anything to use me as your representative to buy a house directly from a builder or their representative. The biggest difference is that you will have me representing you during all transactions at NO cost to you.…not someone who is representing the seller. 3. I can assist you with any home listed for sale by any agency anywhere, which includes Killeen, Harker Heights, Copperas Cove, Belton, Kempner, and all rural areas. There’s no need to go anywhere else. As I work with you, I will learn what your new home requirements are so that your time will be spent only looking at homes that meet your criteria. I will not just show you my listings. I will show you everything that meets your criteria. 4. I will personally assist you. I will be accessible. You will speak to me. 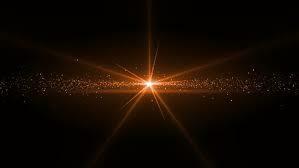 You will receive immediate responses to your questions and concerns. You won’t have to speak to representatives/agents who are not familiar with your particular situation. Movers Relocation Program - Get Cash Back !! 6. I am familiar with the area and the community. 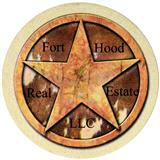 I have lived in the Fort Hood / Killeen area for 40 years and have owned 5 homes. My daughter attended grades 1-12 in the local school district, attended the local community college, and graduated from a local university. I have been a member of the military community for over 44 years. 7. I am experienced. I have 30 years experience as a full-time Realtor in the Fort Hood / Killeen TX. I have been a military spouse faced with PCS'ing to unknown areas with a family. 8. I will be totally honest with you! I will not mislead you ! I will share my experience with you. I will look out for your best interests even if it means I lose the sale. I will not steer you into a quick sale. If you want to buy a particular property, and you're not sure if it’s a good investment…or if it’s going to max out what you qualify for, I will address your concerns. I will not sell you a house just to sell you a house. I will tell you things that you won’t hear from other agents! 9. Click here: Choosing the Right Realtor for more information.